Back in the days of dial-up internet, I played MUD (multi-user dungeon) games on my PC’s telnet console. These games were complex worlds built of nothing but words and the player’s imagination. Whether you were throwing magic missiles at rats to grind those early levels or fighting the House of Fae, these games required speedy reaction times, an active imagination, and lots of corpse looting. 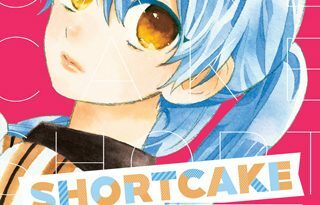 Days Longer Than Long Pork Sausages (hereafter DLTLPS) is a comic that seems to be examining those old text-based games through the eyes of the nameless adventurers that populate them. Throughout DLTLPS, two bulky nameless adventurers, good boy and old man, traverse through dungeon room after dungeon room, looting corpses for cigarettes and beer, and most importantly discussing their strange situation in the moments between action. 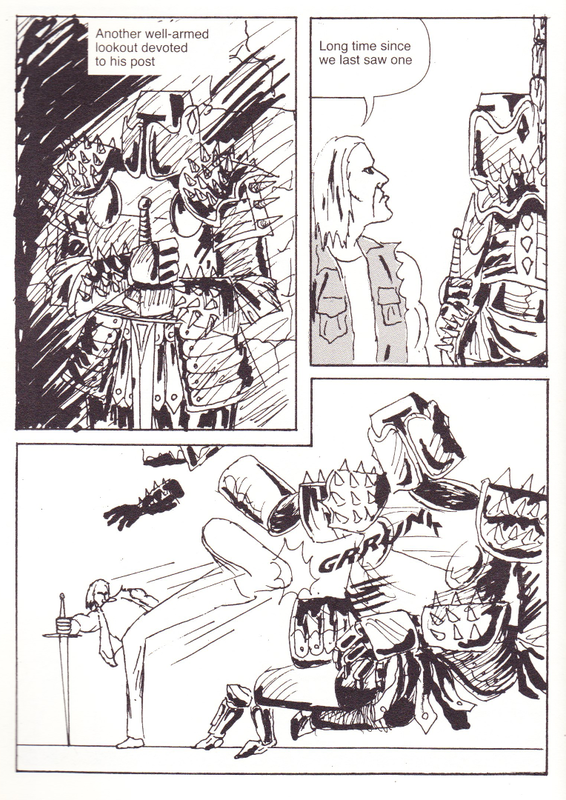 Corbera’s style seems tailored to this reading – the text appears to be a font of some type, and computer tones and sound effects mix unevenly with dark inky pages. 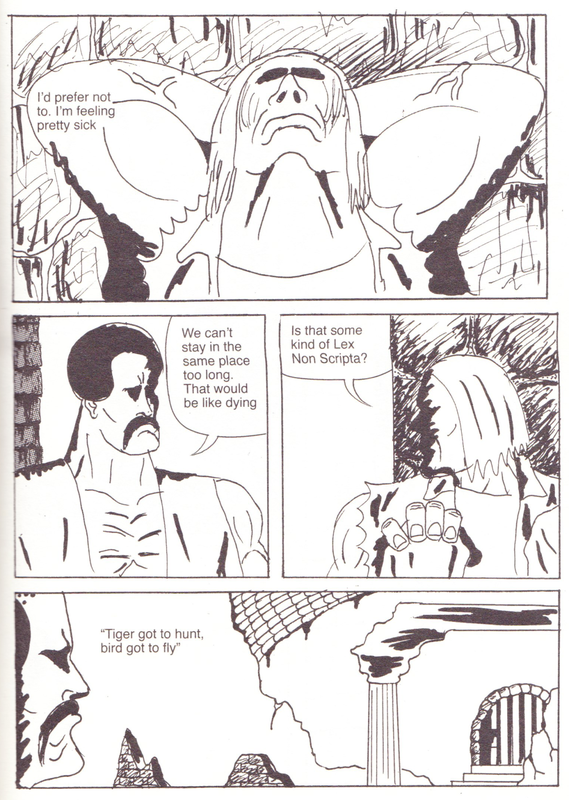 There’s an intense strangeness to DLTLPS, a type of dissonance that exists in both the minimalism of Corbera’s illustration and in the arm-chair philosophizing of his beefy protagonists. The strongest part of the book shows good boy and old man encounter a group of monsters; they are mercilessly destroyed in battle. But the two respawn at a previous point in the adventure. The two discuss the impossible situation. Are the monsters real? Are we real? 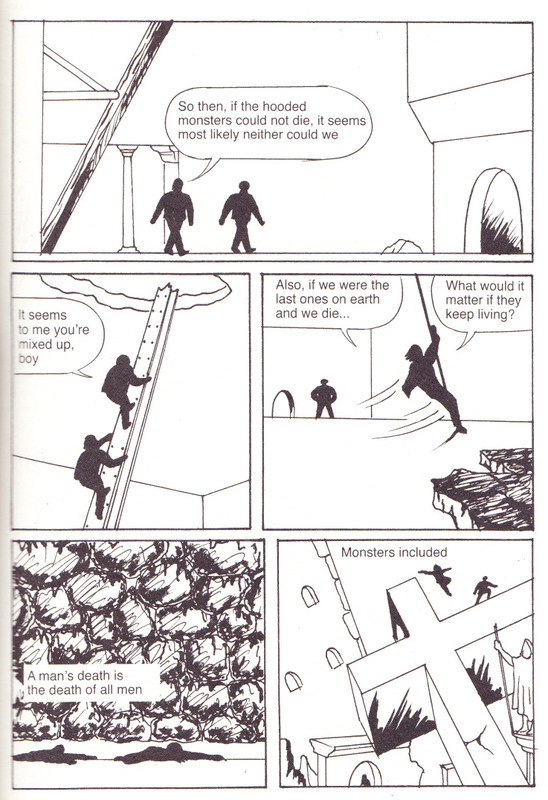 “A man’s death is the death of all men; monsters included.” This existential commentary is both an interesting thought to entertain, but it also gets at the root of the comic. Good boy and old man, as our proxies in the game, come back to the same questions that all people come to – what is my purpose? What happens when I die? Where am I going to get my next meal? DLTLPS uses the world of the avatar to discuss the common concerns of humanity, and delivers on that idea with a singular vision. Gabriel Corbera is an artist and cartoonist. You can find more of his work at gcorbera. 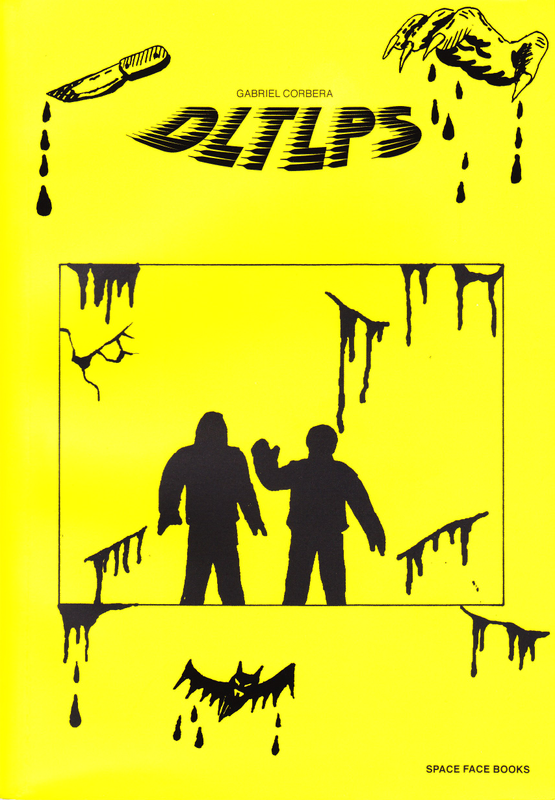 DLTLPS is published by Space Face Books [spacefacebooks], a small press with a powerful slate of avante garde and experimental comic books. 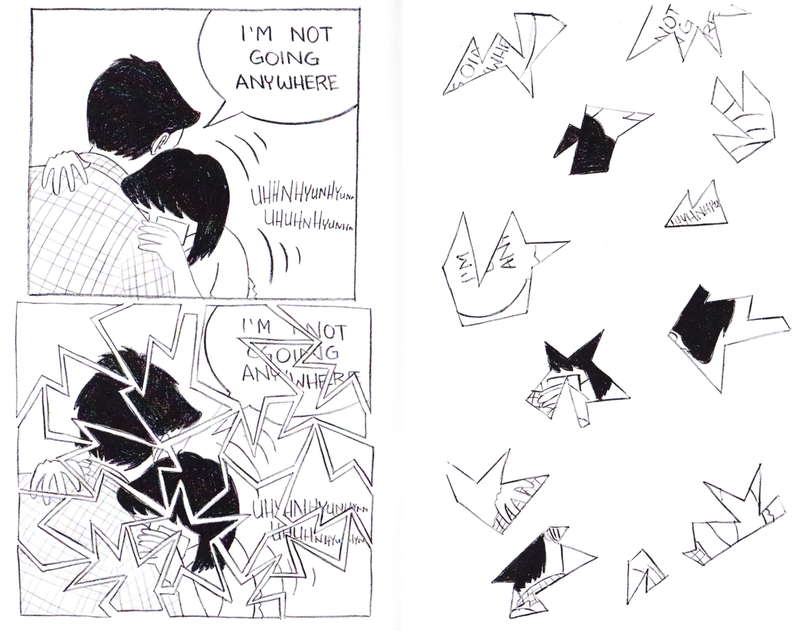 You can see more of their comics here and buy books at their webstore.